Resident of Jaffa and resident of Ramle caught with spray paint in their possession. 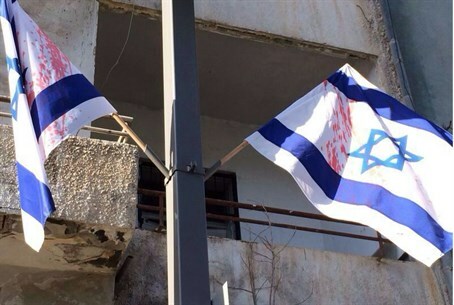 Two people were arrested over the weekend on suspicion of desecrating Israeli flags in Jaffa late last week. Police arrested a 30-year-old woman from Jaffa and a 19-year-old male from Ramle. They were caught with spray paint in their possession. It is suspected that both desecrated about 60 Israeli flags that had been flying on the main streets of the city, including Jerusalem Boulevard. The vandalism was noticed by passerby in the early morning hours of Thursday. The suspects will brought before the Tel Aviv Magistrates Court for a remand hearing on Sunday morning. The chief of the Tel Aviv District of the Israel Police, Commander Benzi Sao, has ordered an increased police presence in the city in order to prevent similar acts.